Happy 2016, gang! 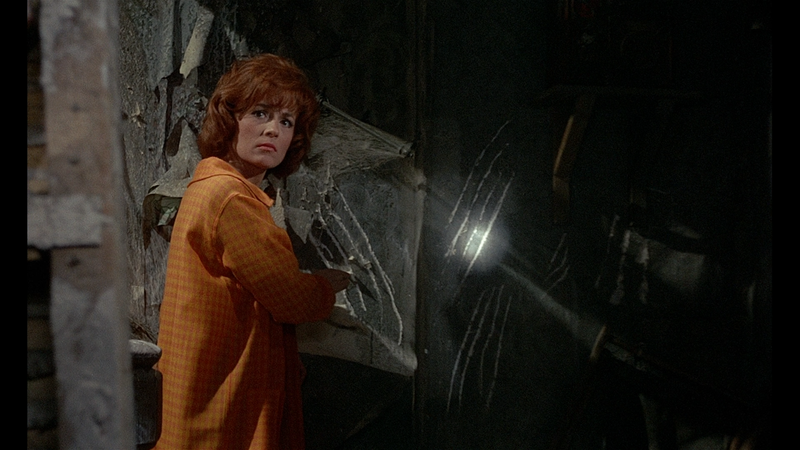 To bring in the new year, we're going to take a look at our first Hammer Film on DVDExotica. Actually, I'm not a huge Hammer guy, but I know a ripping science fiction tale when I've got one in my mitts. 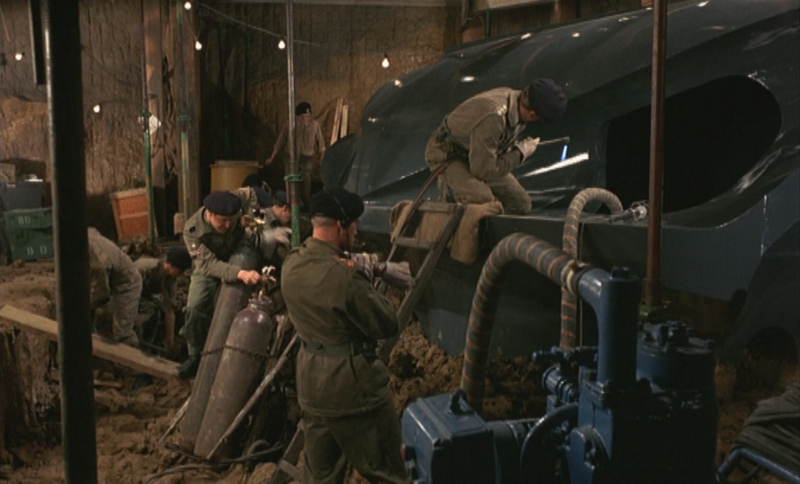 Today's film is Quatermass and the Pit, often released as Five Million Years To Earth in the US and other markets generally less well versed in the brilliant writings of Nigel Kneale. This third chapter in the Quatermass saga has been released on DVD plenty around the world, but we haven't got it in HD yet, here in the USA. Fortunately, that's no problem for everybody who's region free, as Studio Canal has issued a top notch blu of it over in the UK. 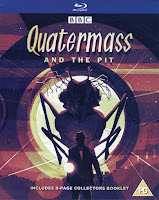 Update 1/1/16 - 1/8/19: Originally I just had a little bit about the 1958 original version of Quatermass and the Pit, in comparison to the 1967 I was covering. But now that BFI has just re-released and remastered the original on an awesome new special edition blu, I'm adding full coverage of that, too. 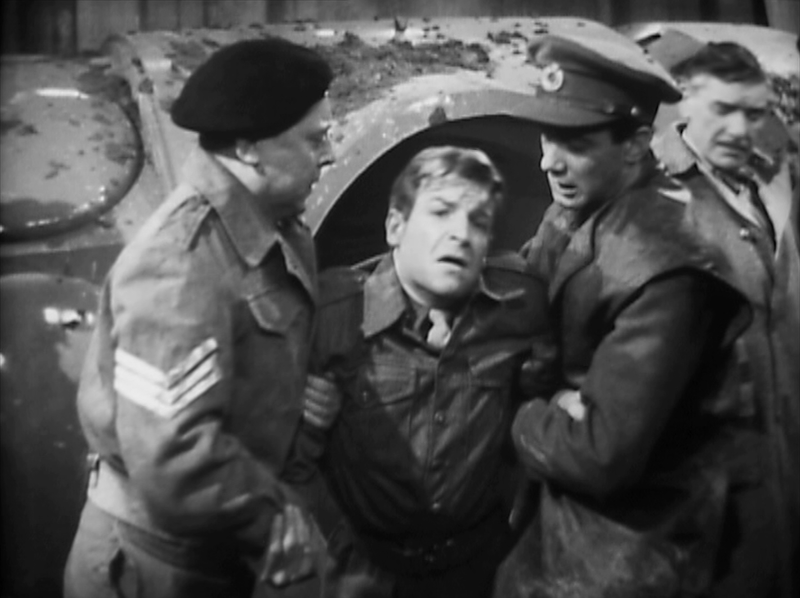 Prof. Bernard Quatermass first ran into trouble in 1953, in the BBC production of The Quatermass Experiment. Now it's 1967, and Quatermass's story is in the hands of Hammer, with Dracula: Prince of Darkness's Andrew Keir now in the title role. 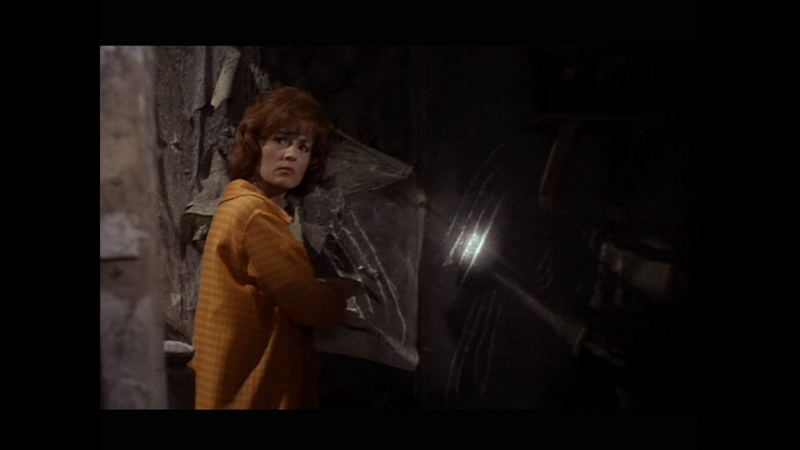 It's a fairly heady science fiction story for Hammer, low on monsters and action, but rich in character and ideas. Paleontologists are called in when primitive skeletons are found during the excavation of a new subway tunnel. Then the military is called in when they find what appears to be an unexplored WWII bomb. 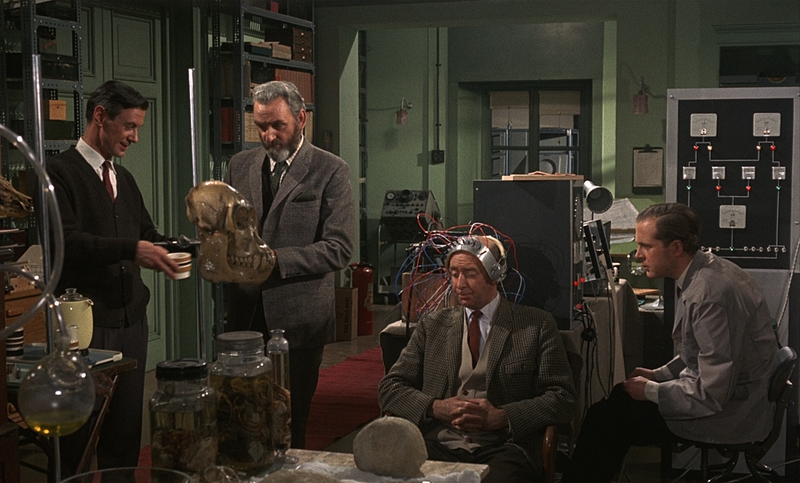 And Quatermass winds up in between these two factions when they realize that both of these discoveries have been buried beneath the Earth for over five million years. How can that be possible? What does that imply? 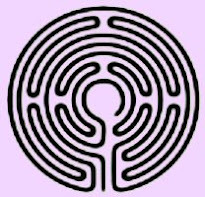 Everything from ghosts, to Martians, to the devil himself seem to have a hand in this bizarre mystery that reaches right into heart of man's evolution. Like the previous two Quatermass films from Hammer, this is another remake of an earlier BBC serial of the same title (all of which were released on a highly recommended DVD set by the BBC in 2005, pictured right). 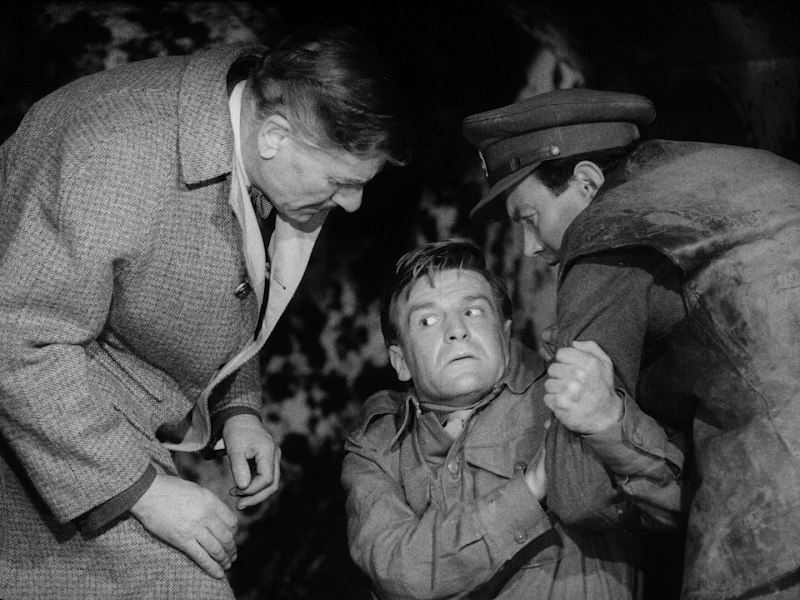 Unlike the previous two, however, which sometimes lost some crucial points in the crossover, Kneale himself wrote the screenplay, leading to a much more successful cinematic conversion. Expert direction by Roy Ward Baker and lavish production values certainly don't hurt either. 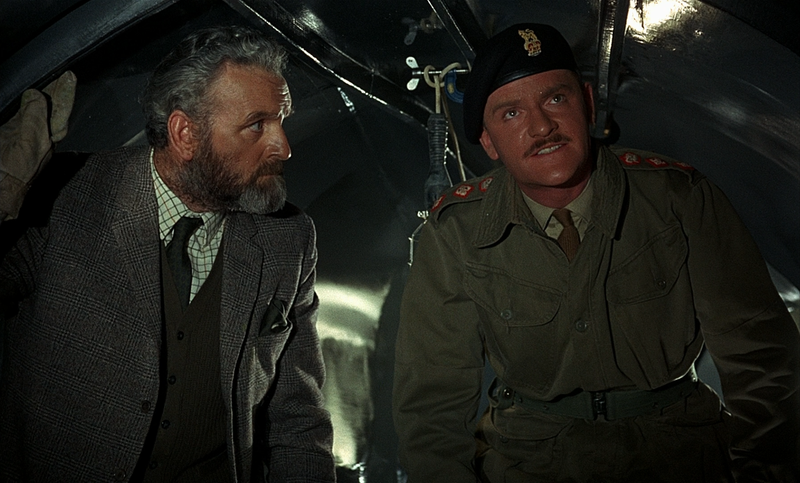 This is the first time we see Quatermass in color. The longer version is certainly a richer, fuller story in some aspects, and I miss some details in this tighter recreation, but this is the first time Hammer has really lived up to the BBC originals. Quatermass and the Pit's DVD debut was Anchor Bay's 1998 Hammer Collection DVD, which was essentially a port of Elite's laserdisc that was released earlier the same year with roughly the same 1.66:1 transfer, audio commentary, etc. It remains the definitive release in the USA to date. Over the years, it's come out on DVD in just about every region of the world, but it wasn't until 2011 when it was given an updated, HD release by way of a blu-ray/ DVD combo pack from Studio Canal in the UK. I've got it here, along with Anchor Bay's original disc, so let's see how much of an upgrade we really got. AB's 1998 DVD on top, SC's 2011 DVD mid, and SC's 2011 blu bottom. Well, Studio Canal had the carpet pretty well laid down for them by the fact that Anchor Bay's disc is so old, it isn't even anamorphic. I left the negative space around each image in the first set of shots so you can see how they'd appear on a widescreen set. Studio Canal would have to fail pretty hard not to improve upon that. And they certainly didn't fail. What did strike me, though, was the surprisingly strong difference in quality between even Studio Canal's blu and the DVD they included in the same pack. Sure, it's roughly the same transfer, but it seems even softer and less detailed than you'd expect an SD copy to look. Anyway, Studio Canal preserves essentially the same 1.66:1 ratio as the past releases, but has unveiled additional picture on all four sides. And for a non-anamorphic image, Anchor Bay's disc looks pretty good, and it's not interlaced, but Studio's new blu certainly stands apart with its crisper, finer picture. Grain and colors look a bit more natural, too (those army uniforms look genuinely green in the new shots); though the difference is only really noticeable in certain shots. Honestly, had AB's disc been anamorphic, I probably wouldn't have bothered to upgrade; but now that I've seen it in high definition, I'm glad I did. Anchor Bay provided both a 2.0 stereo track and a 5.1 mix. Studio Canal does away with the latter, but their lossless LPCM 2.0 audio is the best of the lot. SC has also added optional English HOH subtitles, which AB didn't bother with. Another reason I'm glad to have upgraded is the collection of special features. Now, the original DVD was already pretty good in that department. 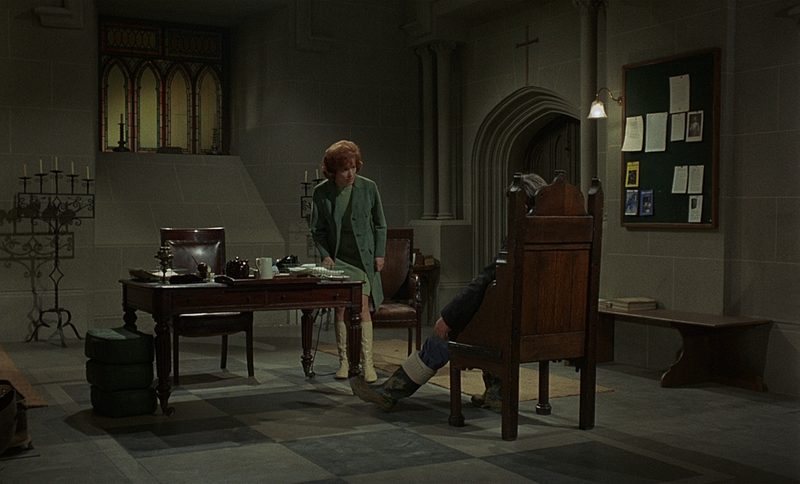 The aforementioned audio commentary is a treasure as it pairs Kneale and Baker, both of whom have now left us. There are a few pauses and gaps, but for the most part they're full of excellent insight and rather fun to listen to. 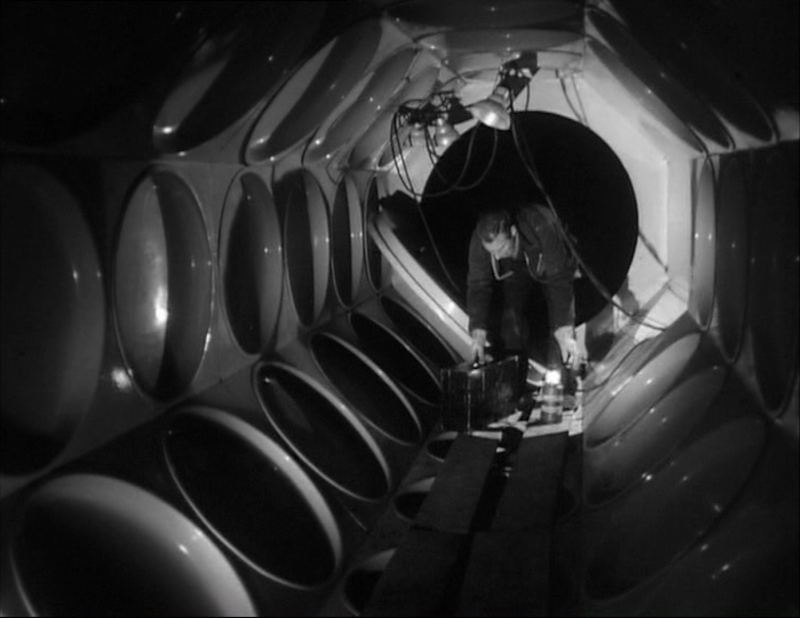 AB's disc also ported over the trailers (one for Quatermass & the Pit and one for Five Million Years To Earth) and TV spots from the laser. It's also added an episode of World of Hammer, a video series Anchor Bay created for their Hammer Collection series, with each DVD including a 20+ exploration of Hammer's films, narrated by Oliver Reed. This particular episode focuses, naturally, on Hammer's entries into science fiction. Unfortunately, it's pretty much all just long clips from the films rather than any kind of documentary look at them, so I found it fairly disappointing. And if you're worried about spoilers, definitely don't watch it, as it shows you the ending of pretty much every film it introduces. 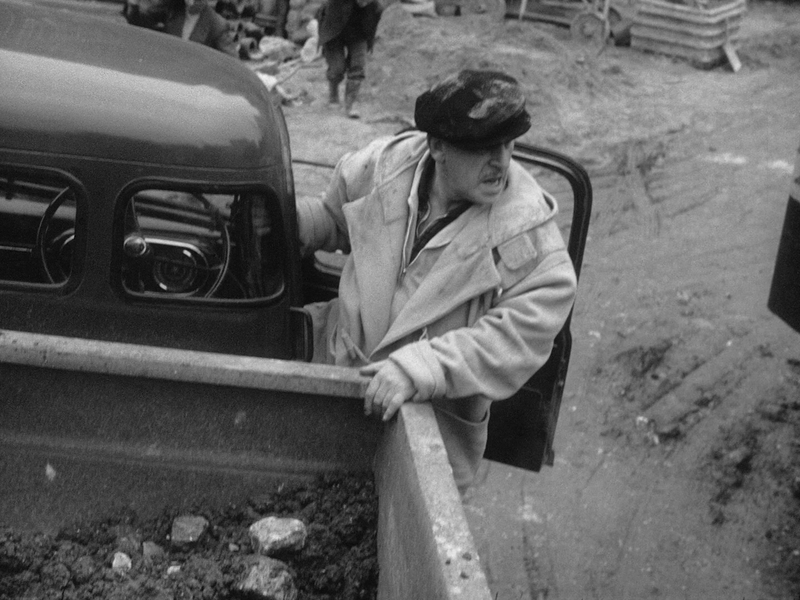 The one good thing about it, though, is that it shows you a lot of Brian Donlevy's performances as Quatermass from the first two films, which is pretty illuminating if you're starting with Keir and the Pit. So it is nice to have in that respect. 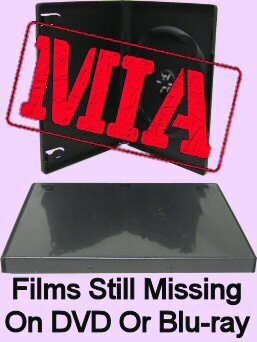 AB's DVD also had a nice cardstock insert reproducing the film's original lobby card. Happily, nothing was lost on the blu-ray except for the TV spots. The commentary, World of Hammer and both trailers are still here. And also on hand is a collection of terrific interviews, all fairly robust and not padded out with films clips. We get Kneale's widow, Judith Kerr, who thankfully has a lot of memories about Kneale's work to share. We get a jovial one with Colonel Breen himself, Julian Glover, and we get four expert testimonials from the excellent Kim Newman, Marcus Hearn, who focuses more on Hammer overall, Mark Gatiss and even Joe Dante! Also thrown in are the American opening credits with the Five Million Years title. Interestingly, however, Studio Canal has only included the extras (any and all of them) on the blu-ray. So if you were planning to purchase this combo-pack for the DVD half, you're in for quite a disappointment. 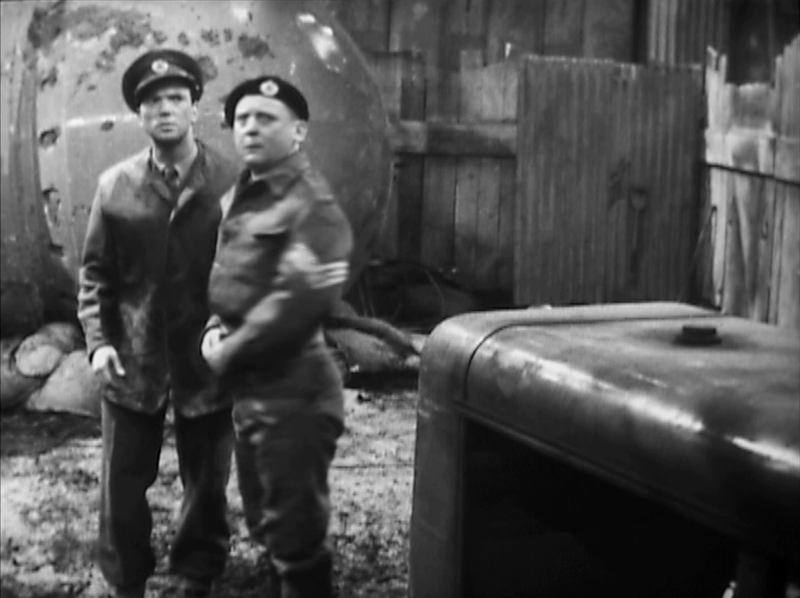 Meanwhile, the original Quatermass and the Pit debuted on DVD in 2000 from Meridian Entertainment as a slightly abridged version, where all six episodes of the series was edited into a single feature. In 2005, BBC restored it to its original serial version in a 3-disc set with the other surviving Quatermass serials. And now, in 2018, the BFI was able to perform further restoration on the film portions and create a new HD version for blu. As you can see, we're looking at two different worlds in terms of picture quality here. In the old days of 1950s television, it would all be reduced to pretty soft, hazy quality and match pretty seamlessly. But in the days of HD, that means we see some pretty obvious jumping between the two tiers of quality, where it's obvious when we're watching the live vs filmed footage. This could be a little annoying and immersion-breaking, but I'd say it's more than worth it considering how brilliant looking the footage is. 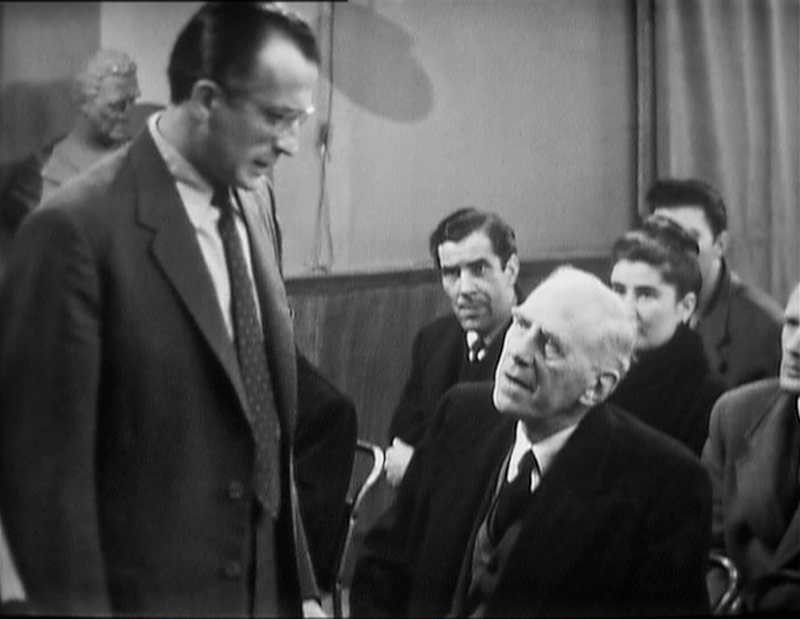 The opportunity to see the scenes in real cinema quality is something even original BBC viewers in 1958-59 got to appreciate. So now let's dig a little deeper and compare the SD and HD restorations. BBC's 2005 DVD top; BFI's 2018 blu bottom. I remember popping in the 2000 DVD (which I no longer have, so sorry no screenshots from that edition) and being disappointed that they interlaced the transfer. Now that I'm a little older and better informed, I realize that the broadcast television footage is inherently interlaced, that footage is just as interlaced on the 2005 and 2018 blu. 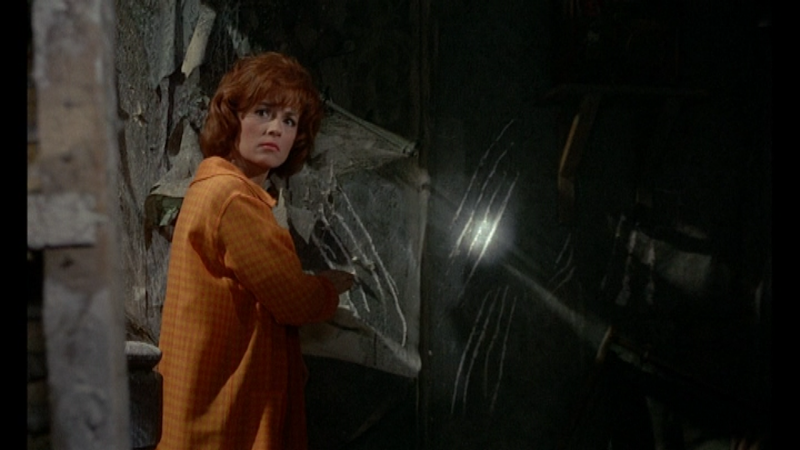 The live footage has pretty much peaked on the DVD; there's really no perceptible improvement over the DVD and blu. Until, that is, you get to the 35mm footage. That footage had already been restored once for the 2005 DVD, so it was already a very visible jump in quality over the live stuff (and no, that footage isn't interlaced), but as you can see, it's another big jump on this 2018 blu with natural film grain, cleaner lines and much clearer detail when you get in close. Contrast is also a bit better, with truer blacks, but really it's all about that fine detail we're seeing for the very first time in 2018. 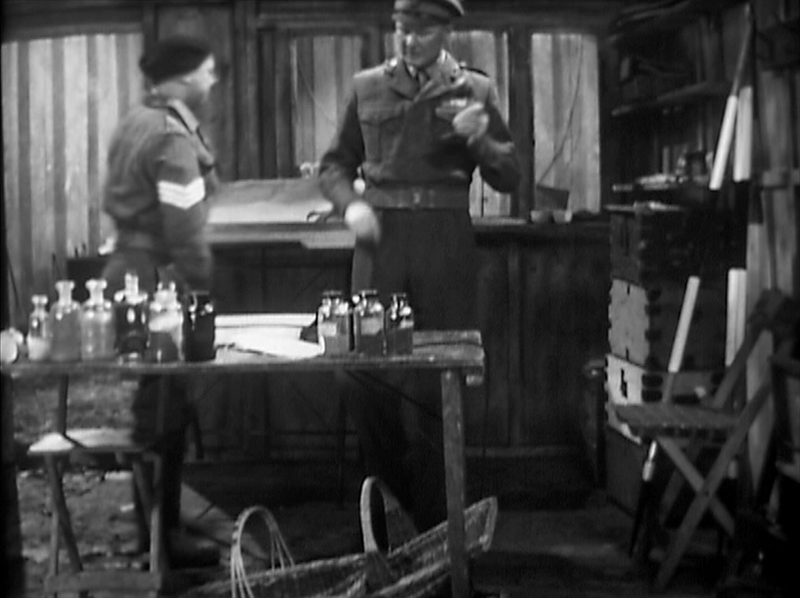 All editions preserve the original mono audio, but the BBC DVD restored and cleaned it up in Dolby Digital for their edition, making the dialogue a lot clearer. The BFI blu utilizes that same restoration, but as the booklet states, "the reduced compression of the Blu-ray format mean[sic.] 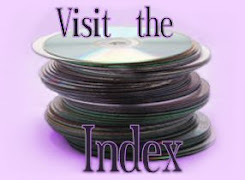 that this audio is now presented with far greater clarity than has ever previously been possible." But the really noticeable jump in quality happened between the 2000 and 2005 DVDs. The 2005 DVD also added optional English subtitles not included on the older disc, but which have been carried over to the new blu. After Meridian's barebones edition, BBC's 2005 DVD came up with some nice special features, especially given the age of the original programs. But because that's a set featuring all three BBC Quatermass serials, not all of the extras directly or exclusively apply to Quatermass and the Pit. 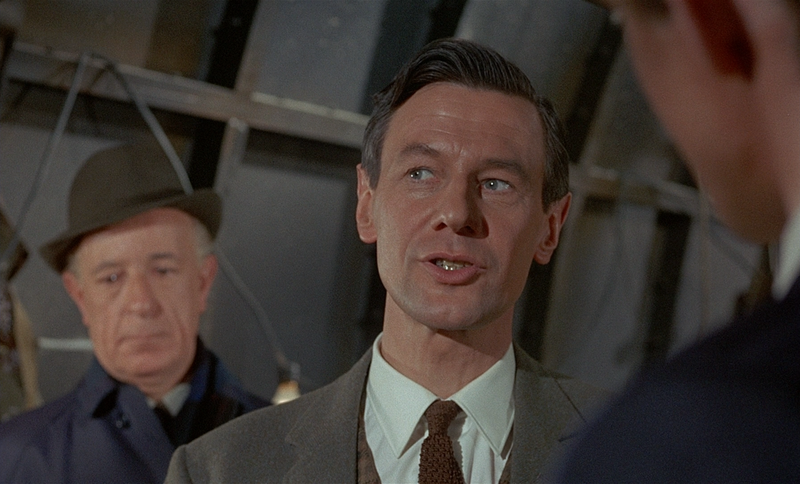 I doubt there are very many Quatermass and the Pit fans who take a complete disinterest in The Quatermass Experiment and Quatermass II, but I'm just letting you know. So the star special feature has got to be the 40-minute documentary, The Kneale Tapes, which interviews critics, Kneale and even the creators of The League of Gentlemen TV show on the entire Quatermass legacy. 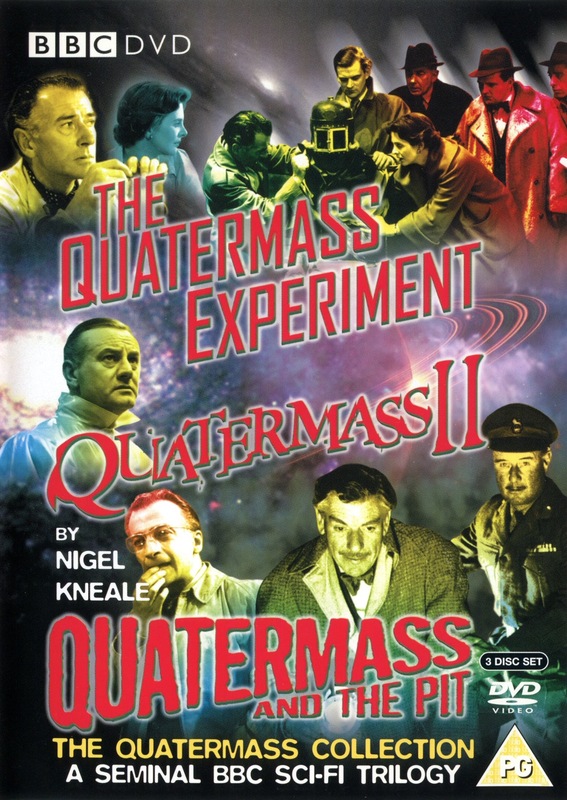 Then there's a great, 11 minute split interview with Kneale and Rudolph Cartier, director of all three original Quatermass serials. 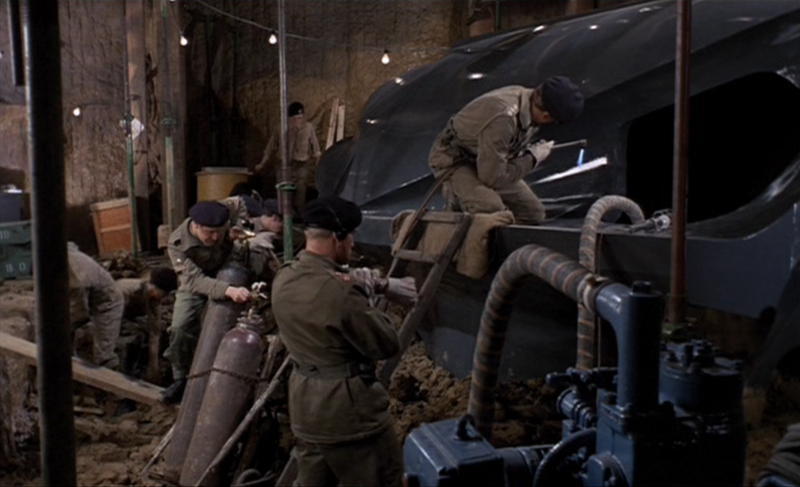 There's a brief interview with the special effects team who made the aliens for Quatermass and the Pit, the alternate titles made for the abbreviated version of Quatermass and the Pit as seen on the 2000 DVD, a photo gallery and weird easter egg where footage from Quatermass II is overdubbed with comedic voices. It also has an in-depth 48-page booklet. 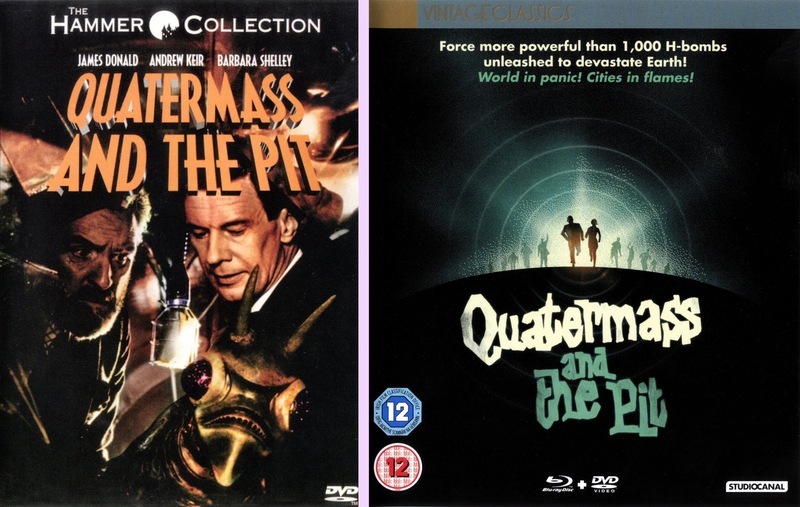 The BFI's blu only ports over the stuff solely related to Quatermass and the Pit, so the special effects interview and the alternate credits, plus some of the photos from the gallery. Hopefully, this means they're holding onto the rest for a planned upcoming restoration of the first two Quatermasses?! 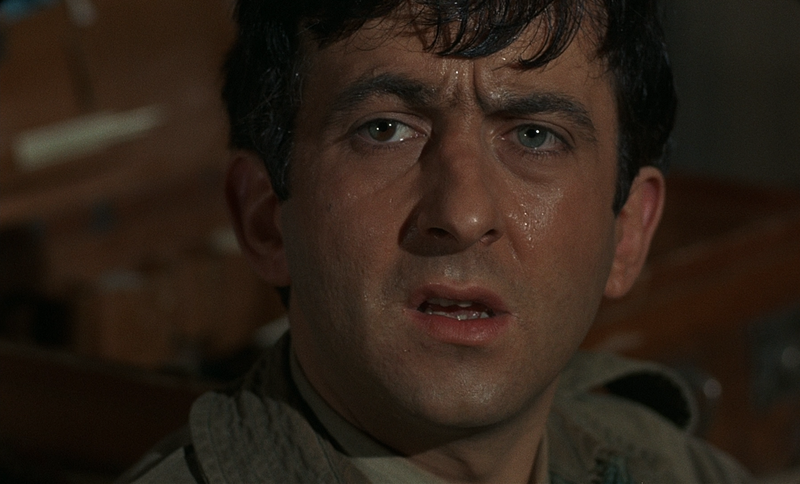 Anyway, don't be disappointed, because BFI has come up with some stellar, extensive audio commentaries. It's primarily presented by a comedian named Toby Hadoke, who thankfully plays it straight here and provides much of the standard, information-dump style of expert commentary, but over various episodes, he brings in various people who worked on or were connected with the series to join him, and also plays audio recordings he made of other cast and crew who are sadly no longer with us. It all adds up to a pretty massive audio-documentary experience. Toby also beefs up the photo gallery with never before seen images from the production, and there's a brief but informative 8-page booklet. It's all good news for Quatermass fans. Anchor Bay's DVD of the film was excellent for the 90s, but the time has come to upgrade. And the serial has now gotten an equally impressive upgrade as well. New, rewarding special features for both versions abound. Assuming, that is, you can play region B blu-rays, because both the blus covered here are locked. Don't buy Studio Canal's pack for the DVD, you'd be better off getting one of those old DVDs from Spain, Japan or someplace, which would at least be anamorphic with some extras. I really don't get the thinking behind that DVD. 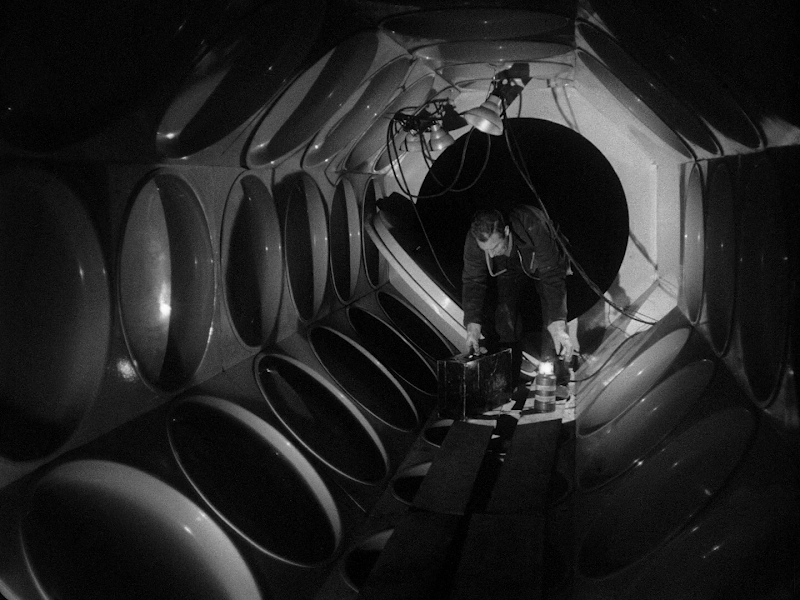 But the blus are a great way to remind yourself why Quatermass and the Pit, in each of its incarnations, was so impressive in the first place. I wished that many of those former Anchor Bay Hammer releases would receive fresh new releases on U.S. DVD/Blu ray,for it was quite a surprise seeing the likes of DRACULA:PRINCE OF DARKNESS,FRANKENSTEIN CREATED WOMAN,and LEGEND OF THE SEVEN GOLDEN VAMPIRES receiving DVD releases from Lionsgate(who since then relased the likes of BLOOD FROM THE MUMMY'S TOMB,SCARS OF DRACULA,and LUST FOR A VAMPIRE on MOD DVD)as well as TWINS OF EVIL,HANDS OF THE RIPPER,and VAMPIRE CIRCUS from Synapse Films,and films such as DEMONS OF THE MIND,THE LOST CONTINENT,and STRAIGHT ON TILL MORNING(along with many others) could richly benefit if given a new U.S. DVD/Blu Ray release(since many people didn't have DVDs back in the late 90s[as they do now]),for hopefully Synapse and possibly Kino Lorber can jump in on releasing more vintage Hammer Films titles in the near future.